BRYAN EATON/Staff photo. 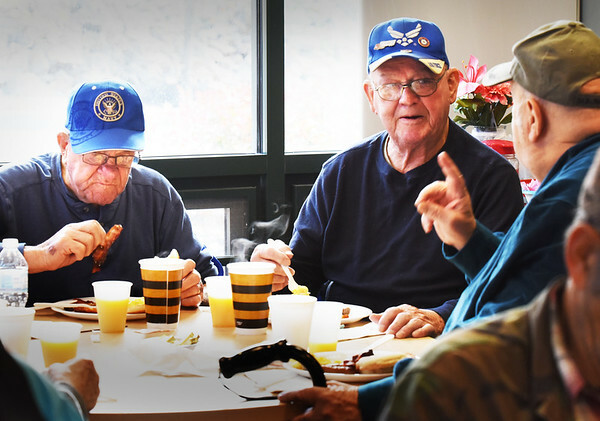 Three of a couple dozen U.S. military veterans enjoy a breakfast of English muffins, scrambled eggs, bacon, sausage and orange juice provided and prepared by the Amesbury Fire Department. Sharing stories at the Amesbury Senior Center, from left, Arthur Bibeau, Merrimac; Norman Bellevance and Mark Vedrani, both of Amesbury.